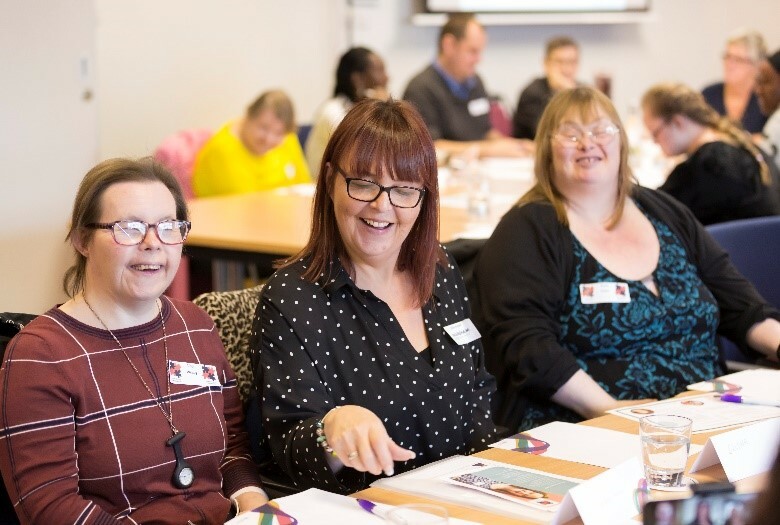 We celebrated 5 years of working together for greater independence at our Involvement Conference in October with the highest ever attendance of 51 people we support. The annual event plays a key role in helping us to increase the quality of life and happiness of every person we support through involving them in positive decision making and embracing innovation. 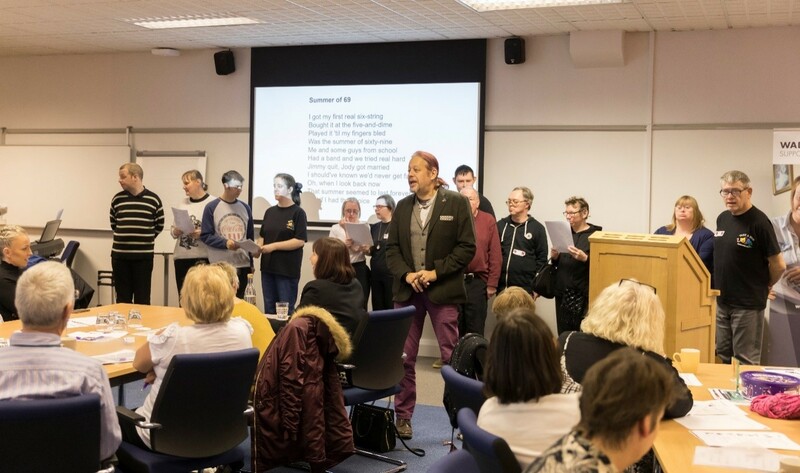 It included interactive workshops led by industry experts on important challenges that people with disabilities encounter in their day to day lives and discussions about how to overcome them. The conference aims to give the people we support the space to explore, learn and have their voices heard. 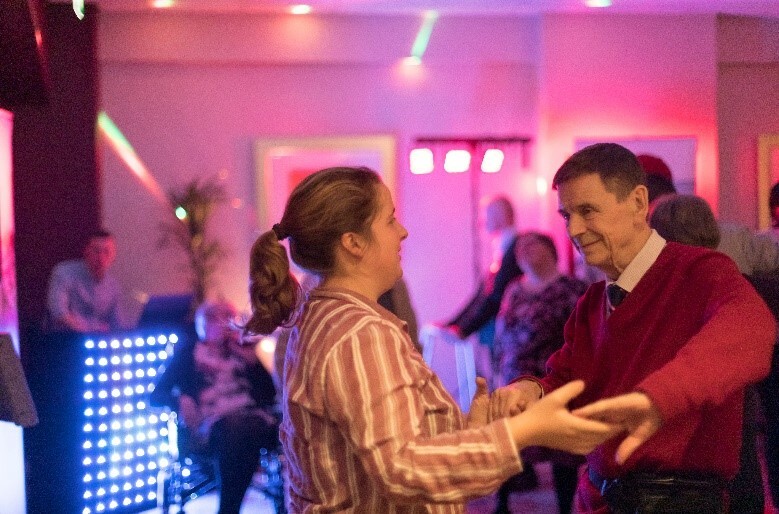 After positive feedback from last year we were again back at the Burleigh Court Hotel in Loughborough where the people we support and staff gathered from all three regions of Walsingham Support. Jeanette and Mary, two people that we support in Cumbria and Herefordshire respectively, did a fantastic job in presenting the whole event, keeping things running smoothly and on time including the odd strict time keeping reminders!. 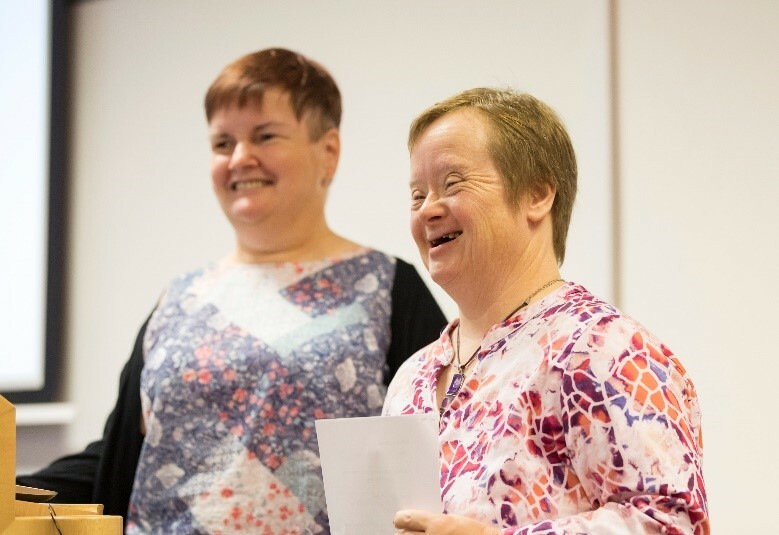 On the first day, the first workshop was presented and delivered by Christine Burke and Patricia Charlesworth from the Foundation for People for Learning Disabilities on the subject of Managing Mental Health. It explored how people feel when they are down, and how they can best manage their mental health. It is estimated that 20-40% of people with a learning disability will have a mental health problem. These are also sometimes harder to identify as they can be mistakenly identified as a characteristic of their learning disability. Christine showed everyone the ‘My Staying Healthy Plan’ and asked everyone in the room to write one example of what they are planning to do to ensure they keep themselves feeling good. There was a lot of suggestions and ideas from the people we support, including, support to go to the gym and get more exercise, to keep gardening and walking, support to meet a partner and find love, to make a staying healthy plan, to manage finances so they don’t become a worry and seeing friends and family more often . The most common response was that people we support will talk to those around them more. “I am going to talk to staff more about how I am feeling." 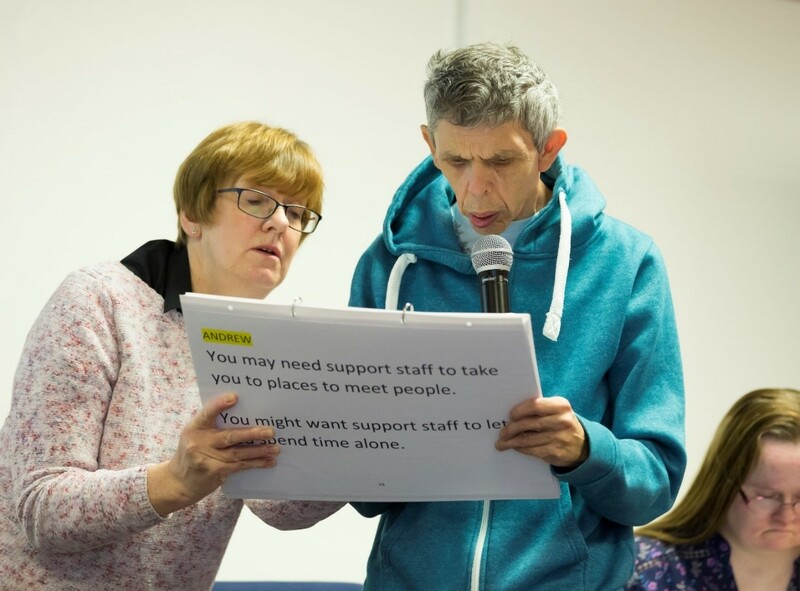 Christine and Pat also spoke about an easy read guide that had been co-produced with people with learning disabilities and the Foundation for People with Learning Disabilities called ‘Feeling Down: Looking After My Mental Health’. A copy of the guide is available for all Walsingham Support staff and people we support to see here. Christine and Pat delivered a second workshop after a delicious lunch which focused on tackling isolation and preventing loneliness. 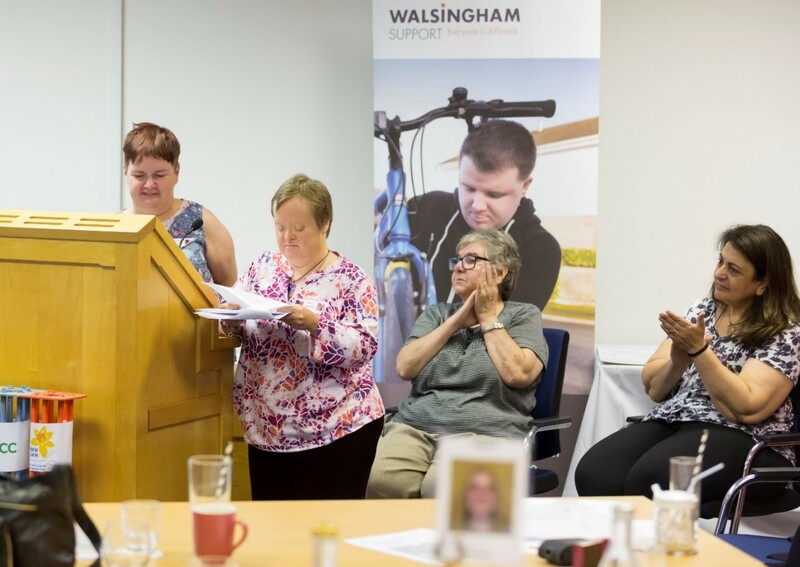 They emphasised that while support workers support people to be safe and healthy, it’s also important that they support people to make connections, particularly in their local community, which is in line with Walsingham Support’s aim to strengthen links with family and the wider community. Everyone was asked to write out or express the things that are most important to them, their passions, hopes and dreams and their gifts or things they are good at. The things that are most important to the people we support could be an excellent basis for creating networks in the community. They should be supported to create their own circles of support and include this in their support plans. This is something we already do but we will make sure that everyone we support has a circle of support completed. The workshop also talked about how support workers can be creative in helping the people we support maintain and make connections. They could use resources such as Skype and Facebook that could help. Some people we support said that they would like to be part of a closed Facebook group so that they can stay in touch with people they have met at the conference. This is something we are exploring as we speak. The people we support also reflected on how they can personally address loneliness and isolation. Christine mentioned the project ‘Community Connecting’ which The Foundation for People with Learning Disabilities has created, and a potential resource for the organisation and the people we support. 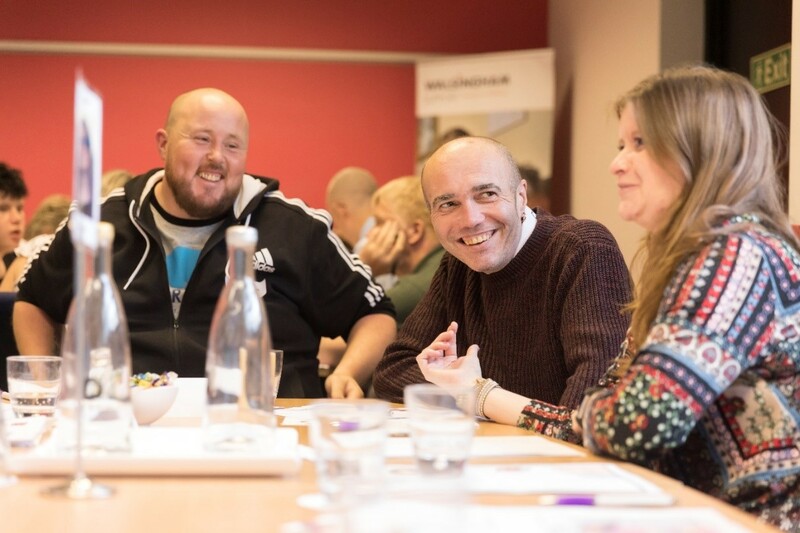 Over the course of the two workshops, the feedback from the people we support showed that they enjoyed working as a group on their individual tables and the chance to meet new people from around the organisation. Following the workshops there was time for everyone to socialize before dinner and the much loved karaoke! Day two began with highlights and changes that have been made from of the last 5 years of the Involvement Conference along with a quick summary of the first day of this conference by Chief Executive, Paul Snell. The Involvement Groups then presented what they have been working on over the year. The group in the Midlands kicked things off, looking back over the past year since being supported by Walsingham Support. They spoke about some of the new things they have been able to experience such as personalisation audits and presenting to the Board of Trustees. They told the conference about the survey they had created and sent out to everyone in the Midlands to get feedback on their support. The group were happy to report that 67% of people asked felt happy being a part of Walsingham Support which we will be working on increasing following the transition . It was positive to report that no one said they were unhappy. They also spoke about future opportunities they would like to be a part of, such as helping to share good news stories on the Walsingham Support website, which we are certainly excited about . The Southern Involvement Group was next, and they presented the work they had been doing on VODG’s STOMP campaign. The group had spent the last year grappling with the subject and making sure they were well informed . They performed a role play demonstrating what good and bad support is like when it comes to medication, and what should be done to ensure that people who take psychotropic medication are supported well. One of the group members, Matt, will be presenting at the VODG STOMP national conference with our Director of Operations & Development, Mick Burgess, in January 2019. They will be discussing what we have done since signing up to STOMP after last year’s conference, and how we have involved people we support in the process. Last but by no means least was the group from Wales, who focused on the topic of friendships and relationships, following from last year’s workshop led by the Supported Loving Network. Two members of the group, Lisa and Anthony, told the conference their very personal and touching story of how they met at a Walsingham Support Mates and Dates event and became a couple shortly after. They spoke about why it is important for them to be in a loving relationship which included how it makes them feel special, wanted and happy and they shared the things they have done since being together. The rest of the Wales group then presented the booklet they had created called ‘How to Get Along ’, their tips for maintaining healthy friendships and relationships. Tips included spending time together to make sure you are compatible, and giving each other space when needed. Tips I think we can all benefit from! The conference closed with a great performance from Take A Bow choir. 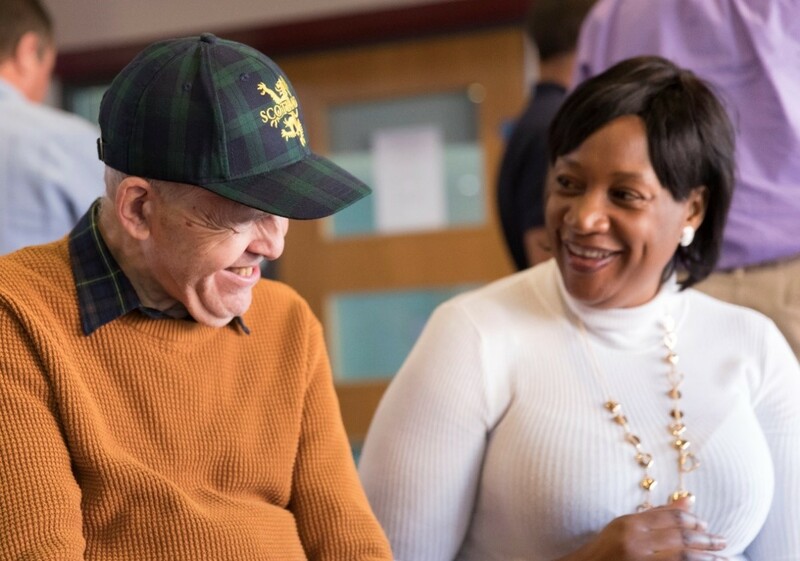 The choir was formed of people with learning disabilities which also included choir regulars Gary Alford, Paula Evans, Richard Wilson and Alison Hadley, all people we support in our Tamworth service at Richmond Close. It was a great performance with many people joining in for classics such as ‘Sweet Caroline’ and ‘Yellow Submarine’. Feedback was gathered during the conference and after the event from people we support and staff. A dedicated project team will now meet regularly to use this feedback to improve the event further for next year and plan how we can incorporate the suggested changes into our support packages. Our Facebook page has a selection of the best photos over the two days.